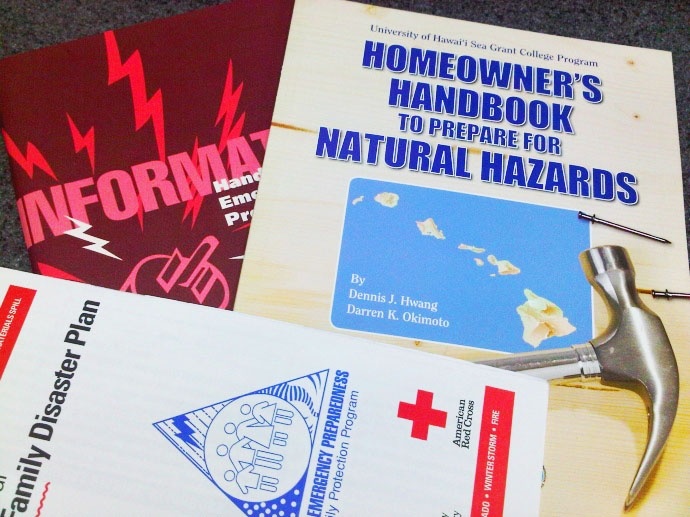 Emergency preparedness pamphlets are available from the Maui County Civil Defense Agency. Photo by Wendy Osher. As Hurricane Lane continues on its path towards the islands, we are taking the opportunity to provide some helpful preparedness tips, provided by various businesses, organizations and government entities including Maui Electric, government leaders and the Red Cross. Below is a compilation of information including a recommended Checklist for emergency kits, how to protect your home, and what kind of items would be helpful during power outages, flooding or high wind events. 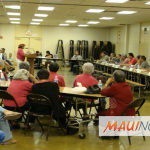 The Hurricane season in Hawaiʻi runs from June 1 to November 30. 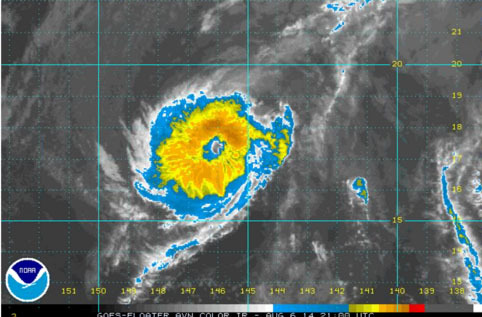 For the season as a whole, 3 to 6 tropical cyclones are predicted for the Central Pacific Hurricane basin, according to the Central Pacific Hurricane Season Outlook released earlier this year. This number represents a near- or above-normal season and includes tropical depressions, named storms and hurricanes. A near-normal season has 3-5 tropical cyclones, and an above-normal season has 6 or more tropical cyclones. *Maui Electric has also compiled an Emergency Preparedness Handbook which is available HERE. **Below info: (Courtesy City and County of Honolulu from prior hurricane event). Protect your property. Declutter drains and gutters. Consider hurricane shutters. Review insurance policies. Be prepared to bring loose, lightweight objects inside that could become projectiles in high winds (e.g., patio furniture, garbage cans); anchor objects that would be unsafe to bring inside (e.g., propane tanks); and trim or remove trees close enough to fall on the building. Be prepared to cover all of your home’s windows. Permanent storm shutters offer the best protection for windows. A second option is to board up windows with 5/8” exterior grade or marine plywood, cut to fit and ready to install. Remember that homeowners insurance alone will not cover hurricane damage. You will need separate policies for hurricane as well as flood insurance to protect against damage from coastal flooding. You can buy flood insurance separately through the National Flood Insurance Program. Make sure to check and know what your existing insurance policies will or will not cover. If you have a family member who does not speak English or a family member who, due to a disability cannot receive emergency information readily, it is highly recommend that they form a core group of family or friends who can assist with translations or providing important emergency information as well as assisting with disaster preparedness actions and if needed, evacuation. Once a storm system crosses the 140-degree west longitude mark, it enters the Central Pacific area and would be in “Hawaiian” waters. 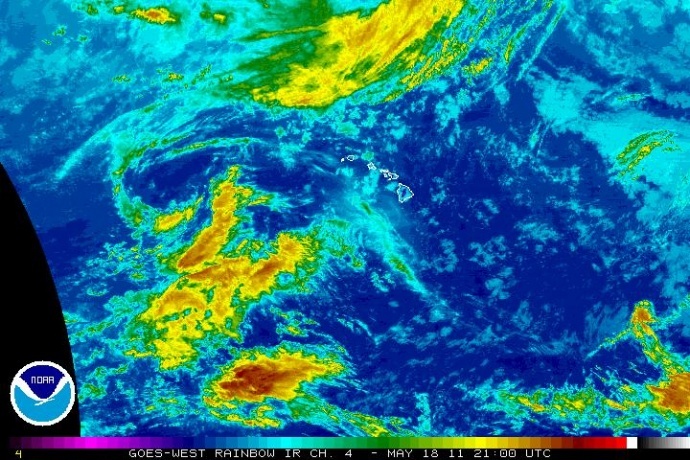 Carefully monitor any hurricanes or tropical storms that develop or enter into Hawaiian waters until they safely pass our islands or dissipate.